In 2007, according to the US Census Bureau, 45.7 million people in the U.S. (15.3% of the population) were without health insurance for at least part of the year. As Baby Boomers reach the age of 50, America, like many developed nations, faces a healthcare tsunami of the first magnitude. Tai chi can alleviate the problems that will arise from a dramatic reduction in healthcare services coinciding with an aging population. People of all ages must learn to relax and release nervous tension to mitigate the effects of the disease of the modern age: stress. Tai chi is a form of self-healing in Chinese medicine. For millennia, tai chi has existed as a sophisticated form of movement therapy that has helped hundreds of millions of people live longer, reduce and even reverse the effects of aging, maintain their energy levels well into old age and feel good. Tai chi improves physical movement. Tai chi calms and releases stress from the nerves and mind. Tai chi develops chi, or life-force energy. And, tai chi’s gentle, low-impact movements don’t generate the potentially damaging shock, trauma and injuries often associated with high-impact exercise/sports. So tai chi can be practiced by virtually anyone—regardless of their age or current state of health. Tai chi literally changes what happens deep inside your body on an energetic level. Tai chi provides instant access to your inner ecology whereby you can rewire your nervous system to counter the stress response with the relaxation response. Nobody goes to the hospital from a relaxation attack! Tai chi develops energetic fitness, which can be defined as your ability to feel, move and store chi. 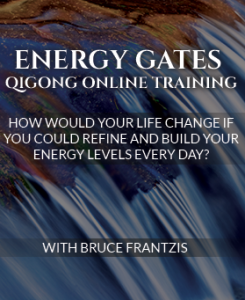 Chi (Qi) is also known as your vital, life-force, which powers your physical body. Energetic fitness is your natural birthright. When you feel your chi, you naturally feel more alive! 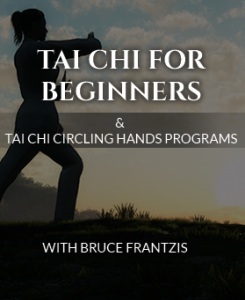 Tai chi has a completely different set of markers and guideposts for success. Instead, practitioners seek to make their body conscious, maintain proper body alignments and develop and smooth the flow of chi in their body. Tai chi is about generating peace from within your being. If you want to learn tai chi, the first step is to choose the tai chi style that fulfills your needs. There are five main styles of tai chi: Wu, Yang, Chen, Yao and combination forms. Each of these styles is suited for different types of people, physical fitness levels and difficulty. 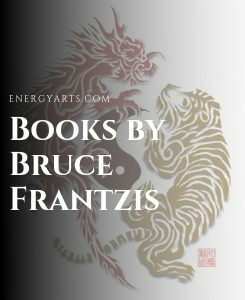 Energy arts teaches the Wu and Yang styles of tai chi, which are practiced as meditation and for health and healing, respectively. Equally important is finding a well-trained, competent teacher with whom you can connect. Your progress will depend upon the knowledge your teacher holds, how well they can convey that knowledge and whether you feel inspired by their teaching. You’ll also want to ensure your teacher knows all the safety precautions and states them explicitly, so you don’t get hurt or train bad habits that will be difficult to reverse. In short, the style you practice and the teacher who trains you will have a huge impact on your progress, so taking some time to explore your options is important. In ancient China, the art of tai chi and its inner workings were considered secrets because they brought internal power to the practitioner. In the days of frequent wars and hand-to-hand combat, tai chi techniques were closely guarded secrets because they meant life or death on the battlefield. Select families owned the inner knowledge of their forms and protected it because it gave them a means of earning a living and status in their communities. Obviously, much has changed since ancient times. Tai chi is now widely available in various forms and most use it for its incredible health benefits—not for battlefield techniques. In this modern technological age, people have become disconnected to their bodies and often cannot feel their life at all or to only a limited degree. This disposition dramatically increases stress and nervous system disorders. Stress has been linked to numerous illnesses and many of us live in a constant state of tension that shreds our nervous systems. If you want to take charge of your health through preventative practices, then you need a practice that directly alleviates stress. Although humankind has achieved major technological advances, very little attention has been devoted to how we can interact with these technologies in ways that support our quality of life. Computers, cell phones, invasive advertising and the general pace of modern life take their toll on our bodies. One of the challenges of many who learn tai chi face is how make time for practice with family, work and social obligations. Tai chi practitioners who have the most success practice a little each day rather than a lot infrequently. They make tai chi a part of the fabric of their day, so it becomes a habit. Practicing just 20 minutes a day can have powerful results and benefit your life on every level. When you don’t feel good, it’s hard to do good. Tai chi is a sophisticated system for releasing all that holds you back and binds you in life, so you feel better. 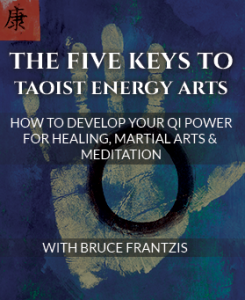 Whatever time you put into your practice, many have found that tai chi returns much more in energy and vitality. Tai chi can increase your sense of peace and well-being in all of your daily activities.